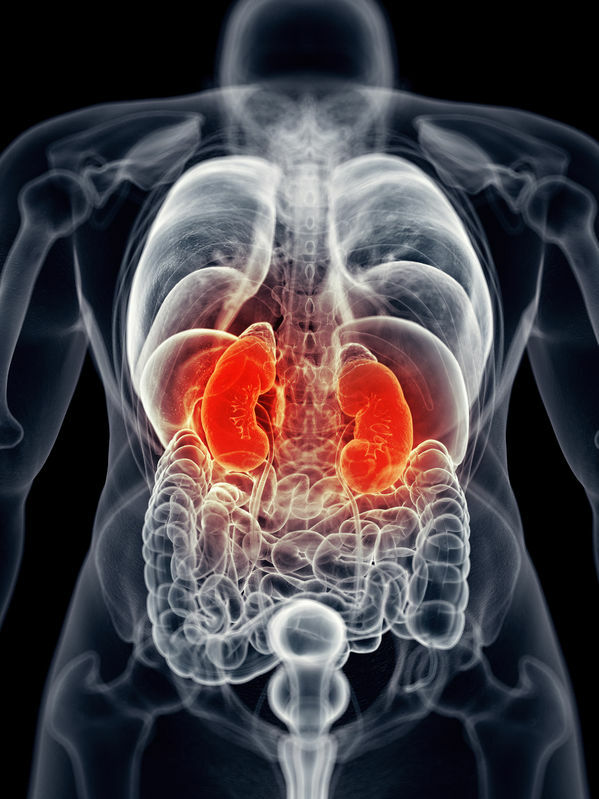 Twenty-six million adults in the United States have chronic kidney disease. Early detection helps delay progression to kidney failure. The Glomerular filtration rate (GFR) is a calculate value from blood tests and is the best estimate of kidney function. People with hypertension, Diabetes Mellitus, and family history of kidney disease are at high risk for developing chronic kidney disease. 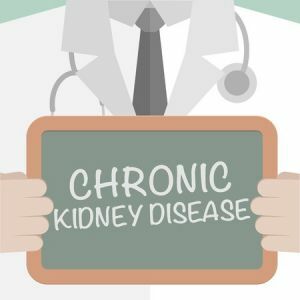 Older individuals and people of the African American, native American, or pacific Islanders are also at a higher risk of developing chronic kidney disease. The kidneys are responsible for regulating water balance as well regulating body chemical such Sodium, Potassium, and Calcium. The kidneys have other functions in producing hormones that regulate blood pressure, make red blood cells, and promote strong bones. Reduction in kidney function or GFR to less than 60 may lead to complications related to above mentioned functions. 26 million Americans have CKD and millions of others are at increased risk. Early detection can help prevent the progression of kidney disease to kidney failure. Heart disease is the major cause of death for all people with CKD. Glomerular Filtration Rate (GFR) is the best estimate of kidney function. Hypertension causes CKD and CKD causes hypertension. Pre-existing Proteinuria (protein in the urine) means CKD is present. African-American, Hispanics, Pacific-Islanders, Native Americans, and seniors are at an increased risk. What is your Glomerular Filteration Rate (GFR)? Your GFR indicates how much kidney function you have. GFR can be estimated from blood work that your doctor orders. Estimated GFR is repoted as mL/min/1.73 m2. Kidney damage may be detected before the GFR begins to decline. In this first stage of kidney disease, the goals of treatment are to slow the progression of CKD and reduce the risk of heart and blood vessel disease. When kidney function starts to decline, your health care provider will estimate the progression of your CKD and continue treatment to reduce the risk of other health problems. 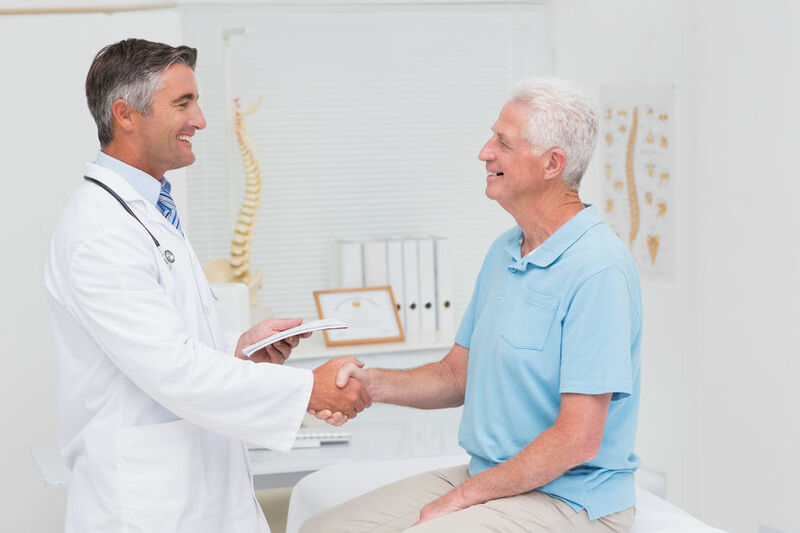 If kidney function advances to this stage, continue following the treatment for complications of CKD and learn as much as you can about the treatments for kidney failure, such as kidney dialysis and transplantation. Each treatment requires preperation. At this level of kidney function, you will need dialysis or kidney transplant. In addition to tracking your GFR, blood tests can show when substances in your blood are out of balance. If phosphorus or potassium levels start to climb, a blood test will prompt your health care provider to address these issues before they affect your health. Chronic Kidney Disease (CKD) Workshops are held at The Kidney Center. Workshops consist of six sessions for patients who have stage 4 CKD. Workshops can be one on one encounters or small group sessions. To sign up, please call 1-888-395-0802.